This little-known bookmaking company was created in 2011, based on the license, issued by the government of Malta. 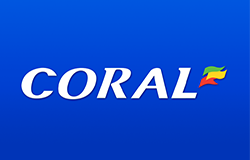 Nowadays bookmaking ratings do not really favor this enterprise, but Rebels Gaming Ltd. Holding is not going to give up. Soon there will be a huge leap on the top of the bookmaker ratings, because BetRebels' potential is very serious. Right now its website has such language versions as English, German, Italian, Spanish, Romanian and Greek. Other languages will most likely appear if players from certain countries will join the portal. Below you can find some quick links to navigate around the article about BetRebels. BetRebels betting company offers to make bets on 21 kinds of sport (Figure skating, football, athletics, basketball, tennis, boxing, golf, motorsports, hockey, handball, floorball, baseball, horse racing and many more). The odds are average, the action line is only good on certain matches or championships (usually football). Average margin index is 5.8%. BetRebels bookmaking company's official website is actually really good, both in its appearance and technically. The main page contains all necessary information about forthcoming matches, live bets and possible bonuses for regular customers. 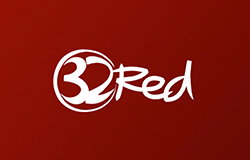 The visual design is made in red, gray and black colors. Apart from totalizer, BetRebels offers services of virtual sports betting, poker, casino, online slot machines and other entertainments for gamblers. Financial operations in BetRebels can be made in such currencies as Swiss francs, Euro, English Pound Sterling and US Dollars. Deposits can be made via credit and debit cards as well as electronic payment systems Neteller, Ukash, Skrill (Moneybookers), ClickandBuy, Paysafecard, Click2Pay. Money withdrawal from the account is possible with Bank Transfer ClickandBuy, Ukash, Skrill, Click2Pay and Neteller. Minimal bet size is 0.05 Euro, maximums aren't specified, because maximum bet sum depends on such circumstances as game popularity, number of bettors and kind of sport. The list of all financial operations made by a client, can be reviewed on his account page in the transaction history section. 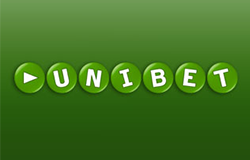 BetRebels bookmaker just like any other young bookie actively attracts gambling audience with multiple bonuses and special promos for regular customers. The sweetest one is the welcome bonus. Right after a registration and the first deposit, complementary funds of 100% of the deposit will be sent to a player's account. The limit is 100 Euros. It isn't hard to play the bonus out: a certain number of bets must be made on its sum and the courtesy money will completely be in possession of a client. Apart from welcome bonus during the first deposit, customers can use other by no means less attractive offers. Bettors can learn more about them in the Promotions section of BetRebels website. 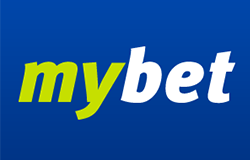 No special downloadable application to bet from portable gadgets is available on Betrebels. Instead users can make their wagers simply by visiting the company's mobile website m.betrebel.com. It has pretty much the same selection of sports to bet. The mobile version looks pretty simple but it has pretty convenient navigation, so it would be easy to use on smartphones and tablets. Live betting section is also present there, but it is somewhat smaller than the basic one. No mobile betting is currently offered. BetRebels Casino does not have its own mobile version either and it seems like there is no opportunity to experience the company's casino services through mobile gadgets. 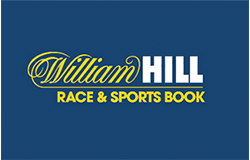 No download links are provided on the website and the bookmaker's mobile version only has betting features. To enjoy casino and poker users are going to have to use desktop version. Apart from betting, BetRebels offers its customers the joy of such online gambling features as casino, poker and others. The regular casino includes a great variety of exciting games. It has a number of video slots and regular slot machine simulators. There are also 3D slots, which have their own separate section on the portal. Table games contain a collection of roulette wheels and card games of all kinds, such as blackjack, bacarrat and poker as well as video poker. Some slots have great jackpots. Plus, there is a subsection of scratch games for those who love that kind of stuff. Poker has its own separate section in the portal and is available both for instant play and in downloadable versions. Live casino is present as well, offering to play roulette, baccarat, blackjack, Holdem, three card poker and live Caribbean stud with live dealers. And finally BetRebels has a separate version of online games including Dead World, Downtown, Gladiators of Rome and Red Dragon. The bonuses offered by BetRebels' Casino are pretty neat too. 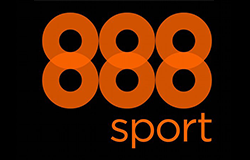 BetRebels offers the following extra services in addition to their sportsbook. Company Name: Rebels Gaming Ltd.
BetRebels supports the following languages. Some things may definitely be improved for this young bookie but generally it is already a pretty solid-looking player on the market of online gambling entertainment. The company seems safe and we may already advice to bet with this bookmaker. But it would be really interesting to take a look at this enterprise in a few years. It will probably achieve some success.